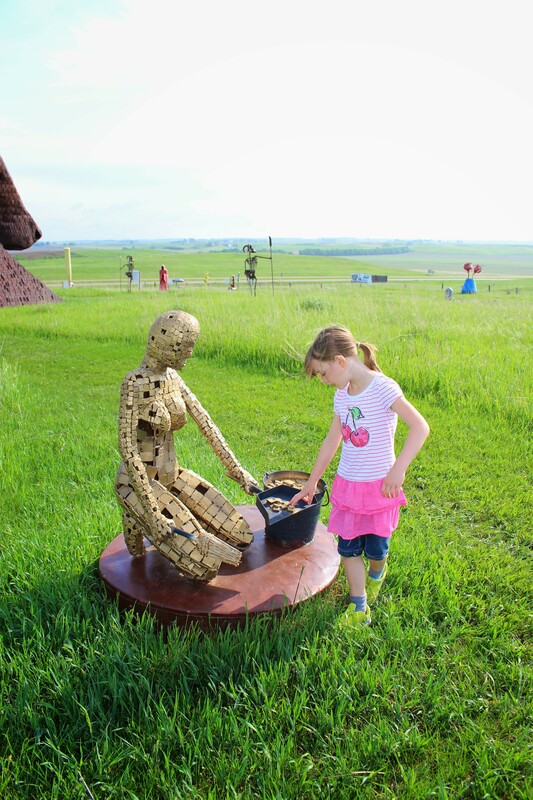 A visit to my favorite park in South Dakota — Porter Sculpture Park. 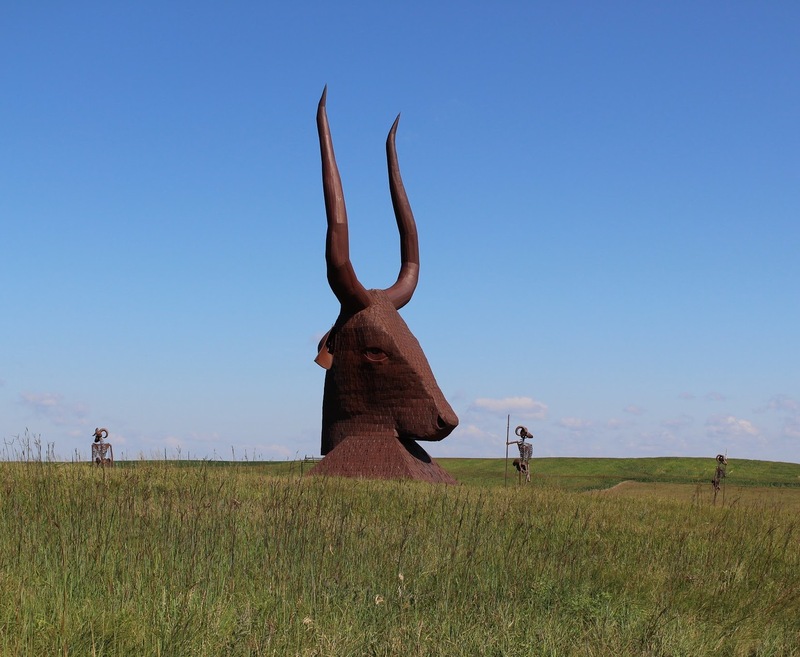 On my road trips back and forth between South Dakota and wherever I’m calling home, I always take the time to stop at the Porter Sculpture Park, about 25 minutes west of Sioux Falls. The park is spectacular. It is open Memorial day through Labor Day. 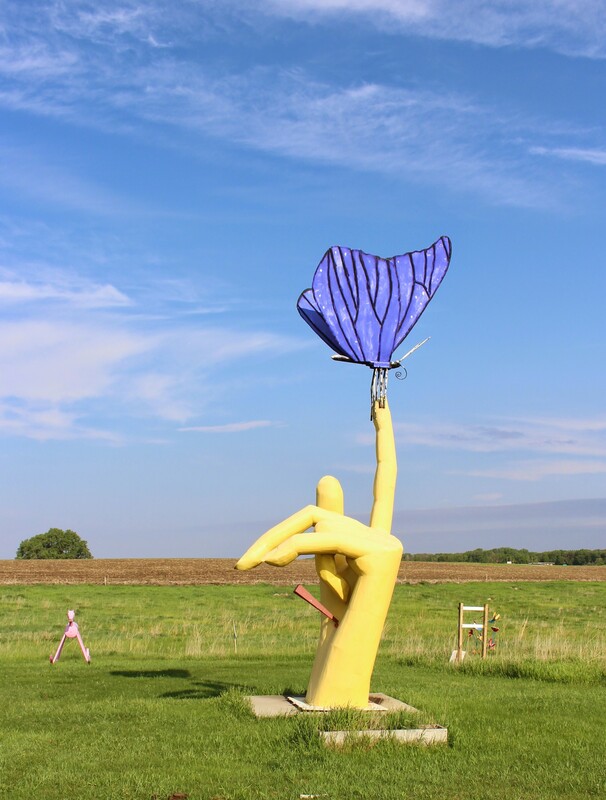 The sculptor, Wayne Porter, keeps his park open every day, rain or shine, and offers guided tours. His gorgeous dog Bambino often accompanies guests on the tours. Park hours are 7:00 a.m. to 8:00 p.m. Admission is $8.00 for adults, $4.00 for youth 13 to 17, children 12 and under visit for free. To get to the park, take Exit 374 off Interstate 90. The park is RV friendly and provides a golf cart for guests with mobility issues. There are clean porta-johns on site. Mr. Porter has a guest book and encourages people to share their ideas, thoughts, and good vibes for the universal (literally). 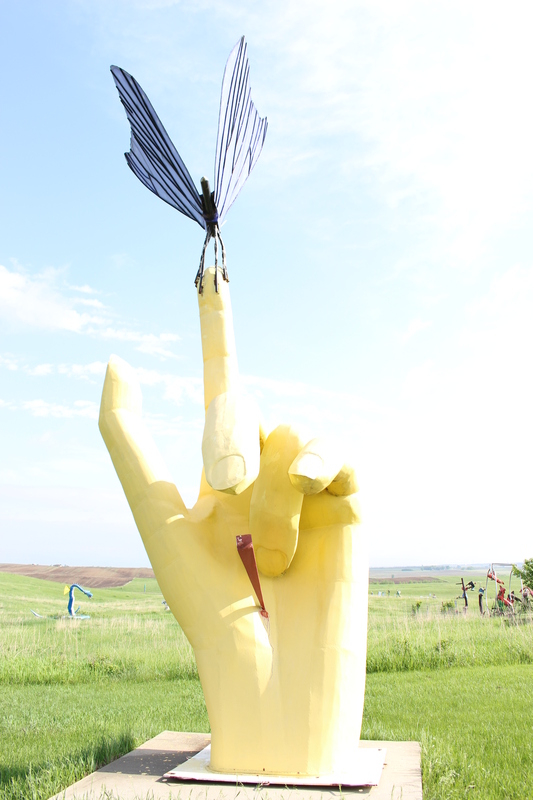 The exquisite and vibrant Pain and Joy sculpture at the Porter Sculpture Park. 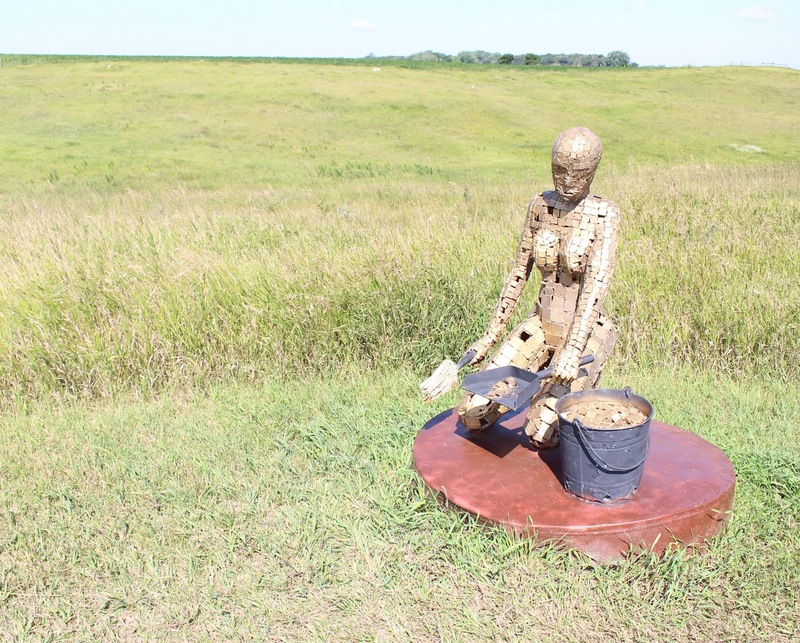 Another view of the Pain and Joy sculpture. 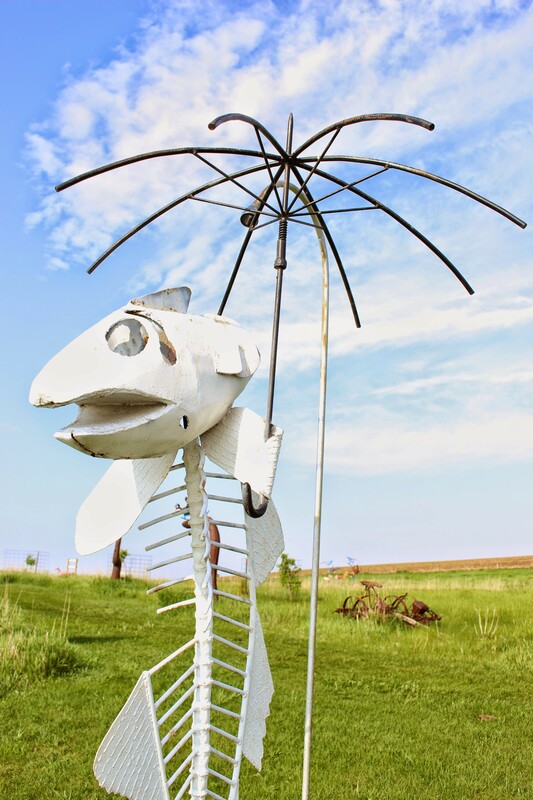 This sculpture is my absolute favorite out of all Mr. Porter’s pieces. A nice view of goldfish and the yellow hand lined up as we drive into the park. 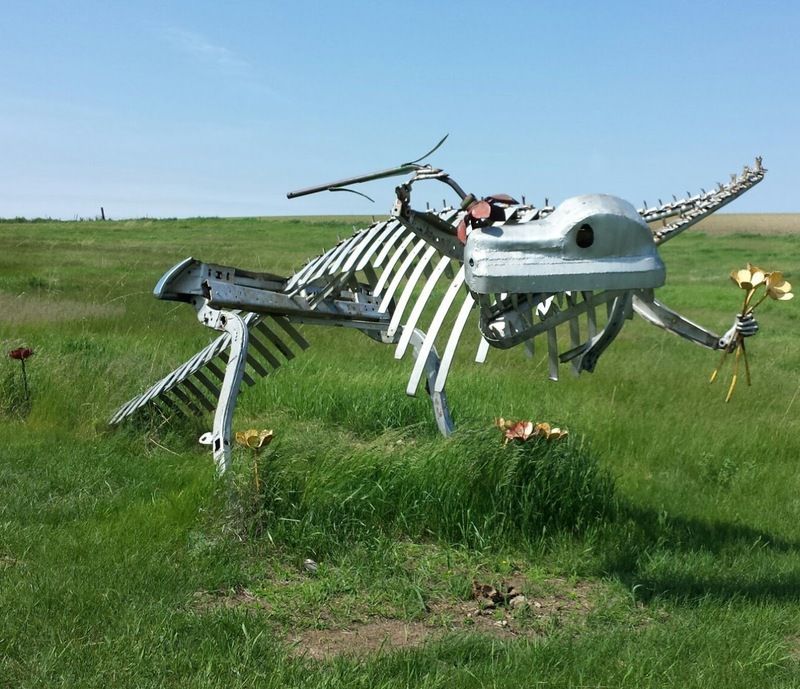 A whimsical dinosaur skeleton daintily sniffing flowers. 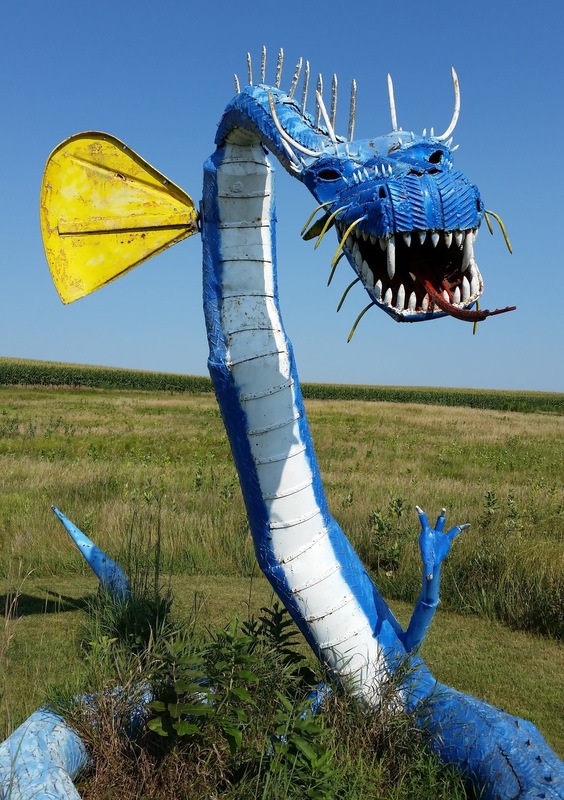 A cool blue dragon missing one yellow fin. Mr. Porter said that the South Dakota wind sheared it off and sent it flying through the meadow. 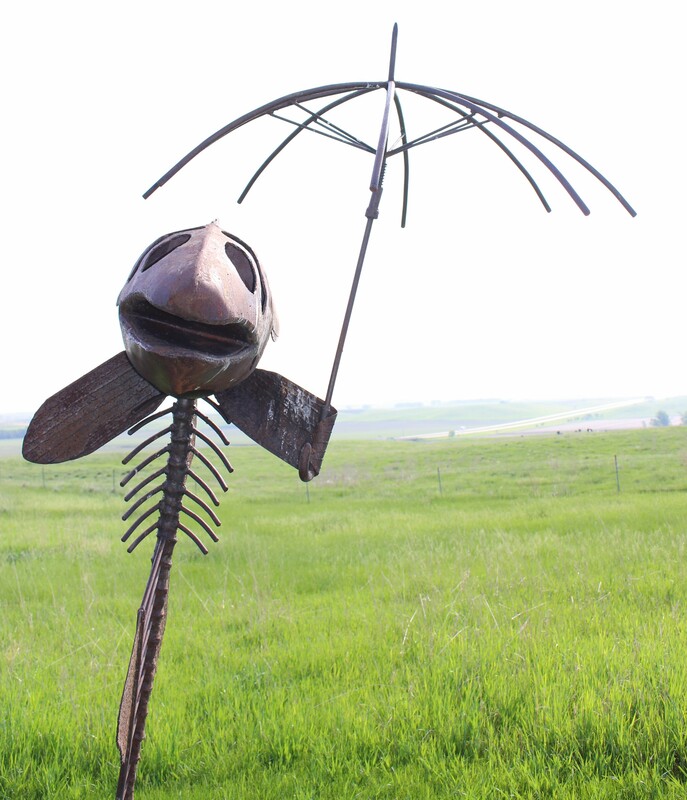 A skeletal fish anticipating a rainy day. Another skeletal fish with a fresh coat of paint. 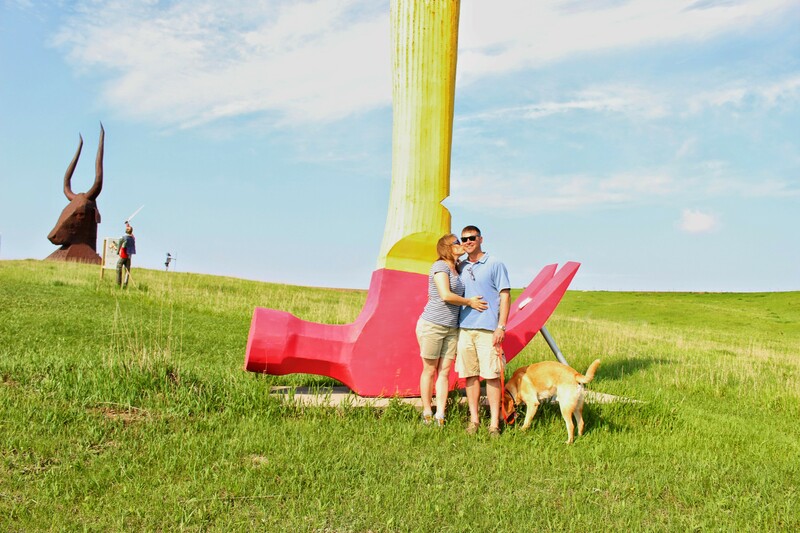 The Red Hammer at Porter Sculpture Park in Montrose, South Dakota. 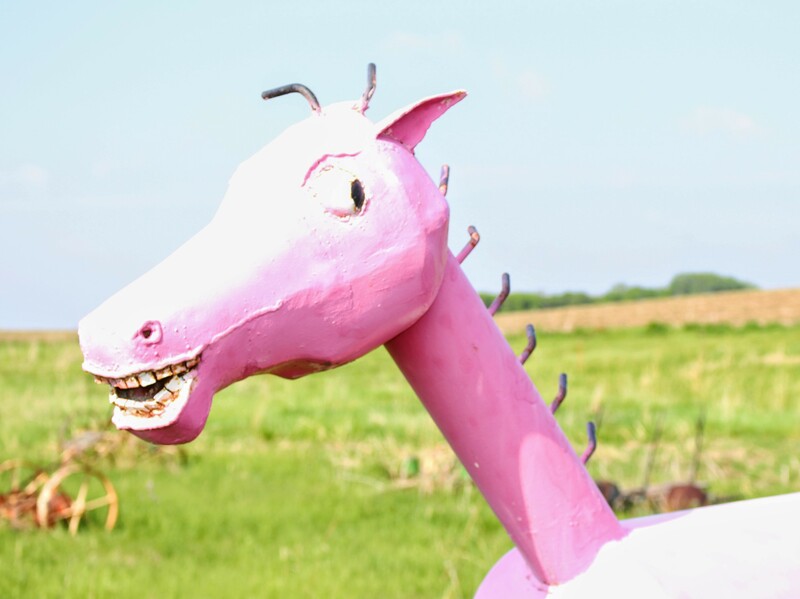 A big, bubble gum pink rocking horse with a mischievous grin. The Bull on the prairie. 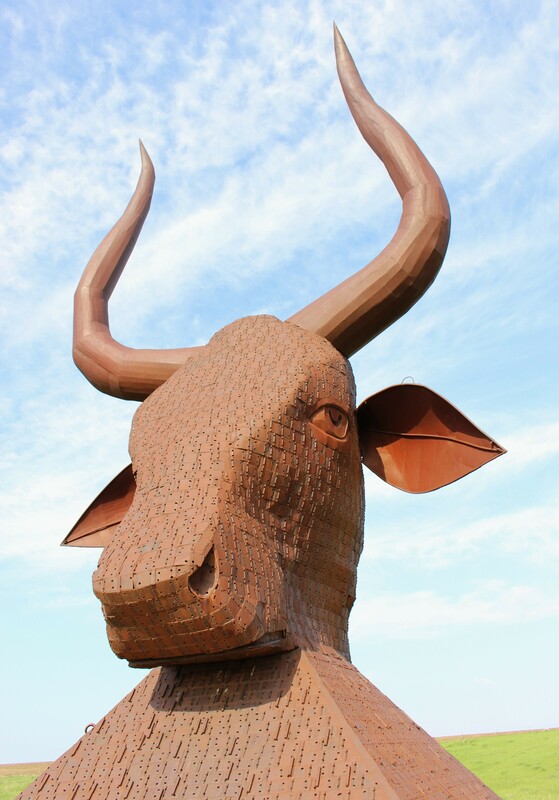 The Bull stands about 60 feet tall. 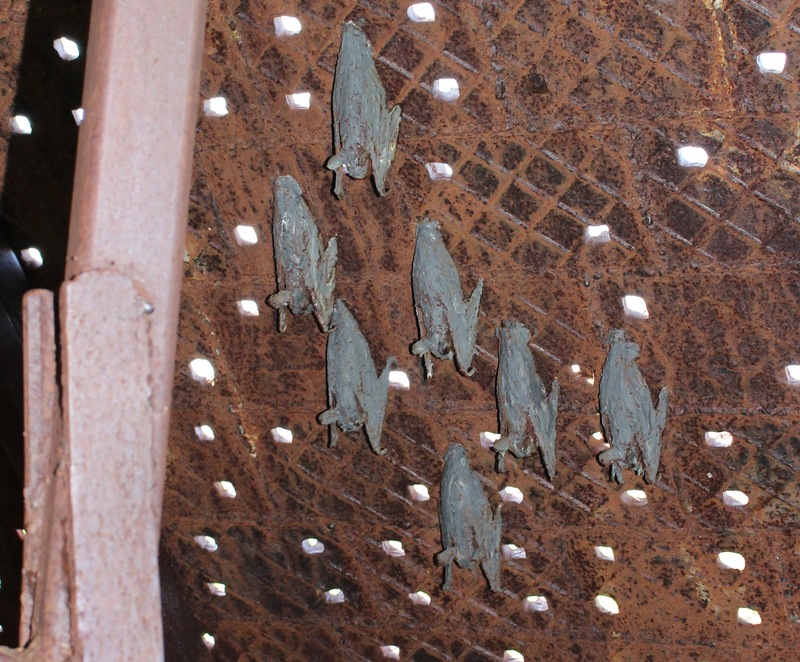 Little bats napping inside the Bull. Becoming acquainted with The Ballerina.